BrilliantPrints is a full-service canvas printer. We do not simply press “print” when we receive your image. Each print is custom made to your specifications. Our professionally trained staff work with you to create a result that completely exceeds your expectations. You receive free resizing and conversion of your image to black and white or sepia. We can also assist you to develop a customized mural or unique piece of art for free. Having supplied clients all over Australia with thousands of prints, we have an excellent understanding of what images are suited to canvas and how we can make your images look fantastic. Custom sized prints at no extra charge – meaning your images are never cropped or stretched. Full colour, Sepia, and B&W (cool, neutral, warm and carbon) printing. The printing of text, signatures, logos or edition numbers on your image. Several freight options including the ability to have your print sent anywhere in Australia or overseas. 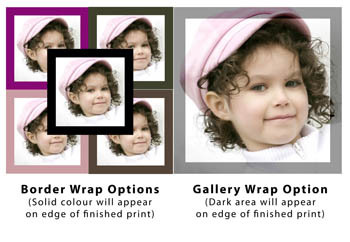 If you would like an obligation free assessment of your image, please email it to sales@brilliantprints.com.au.